Are You a Disney Pirate Or Princess? Make Your Choice and Step into the Story! 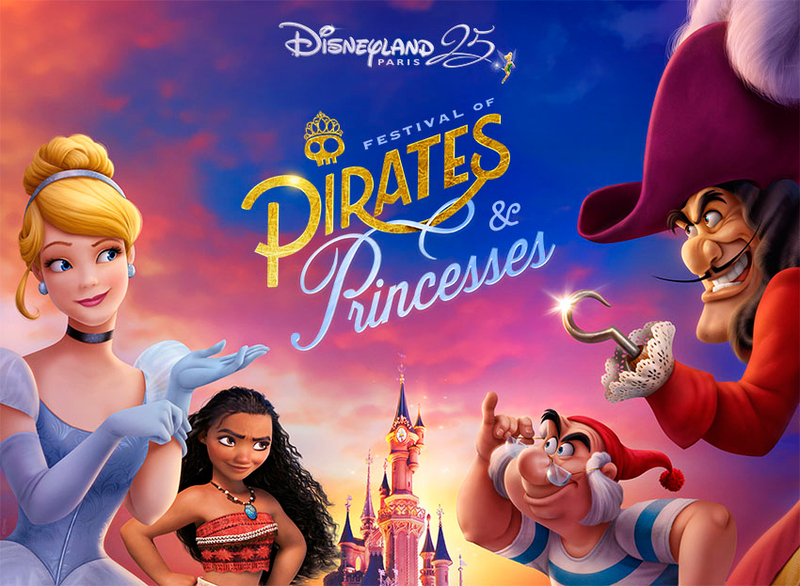 The Festival of Pirates and Princesses at Disneyland® Paris from 31 March to 31 May 2018. All fairy tales start with the words “Once upon a time”. 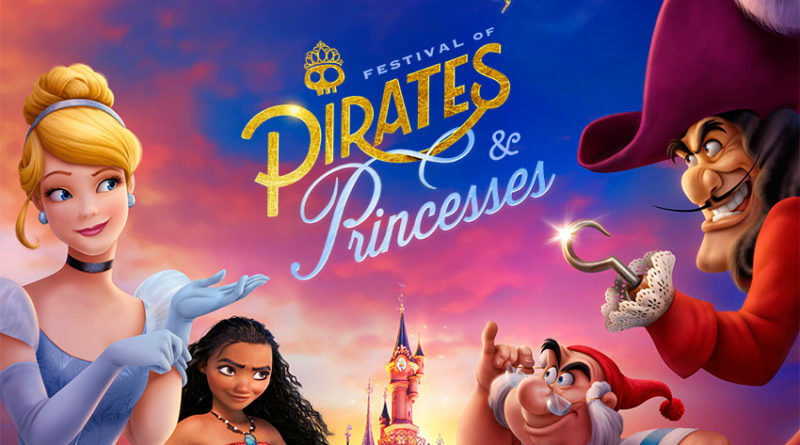 How the rest unfolds is up to Disneyland® Paris guests; this spring, guests can choose their side—Pirates or Princesses! Guests can experience shows and attractions, meet Disney Characters, have their faces painted, get dressed up and enjoy a variety of entertainment at Disneyland Park. This will help them create their very own adventure story, with them starring as the hero. They can choose to be one or decide to be both – that’s the real magic of Disneyland Paris! Our brand-new “Festival of Pirates and Princesses” season is one of the highlights of the 25th Anniversary celebrations that are coming to a close in September 2018. 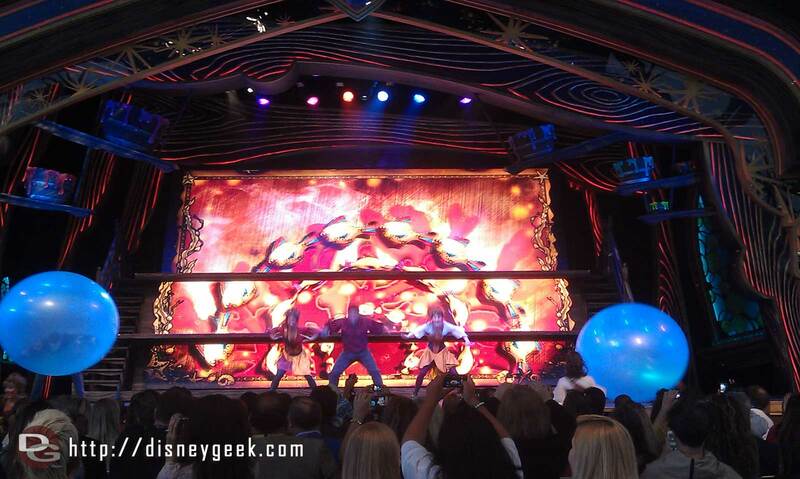 PARTICIPATE IN A BRAND-NEW INTERACTIVE SHOW: DISNEY PIRATE OR PRINCESS: MAKE YOUR CHOICE! The two worlds will merge several times a day. Setting off from opposite ends of the Parade route, both the Pirates float and Disney Princesses float stop halfway and immerse guests in a musical celebration. 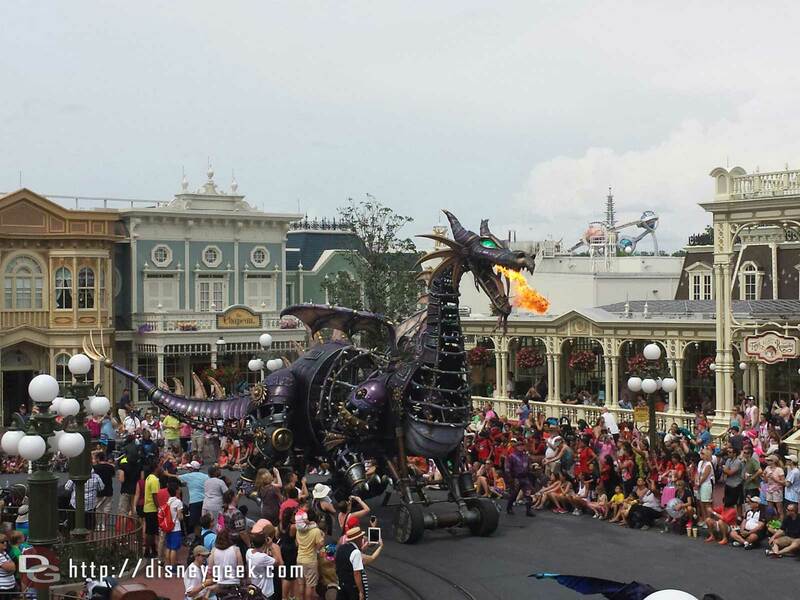 Then, the floats will head to Central Plaza where they’ll come together for a mammoth spectacle of guest interaction. On the blossoming, spring-colour Princesses float, guests will see the heroes of our childhood, like Cinderella and Belle, as well more recent favourites, like Rapunzel. Christophe says, “There will be nine Disney Princesses in total, as well as Moana—and they will be joined by none other than Mickey Mouse!” They will be surrounded by a troupe of dancers in costumes bursting with flowers and other natural sculptures and will be celebrating the Fantasyland® world, where dreams come true. 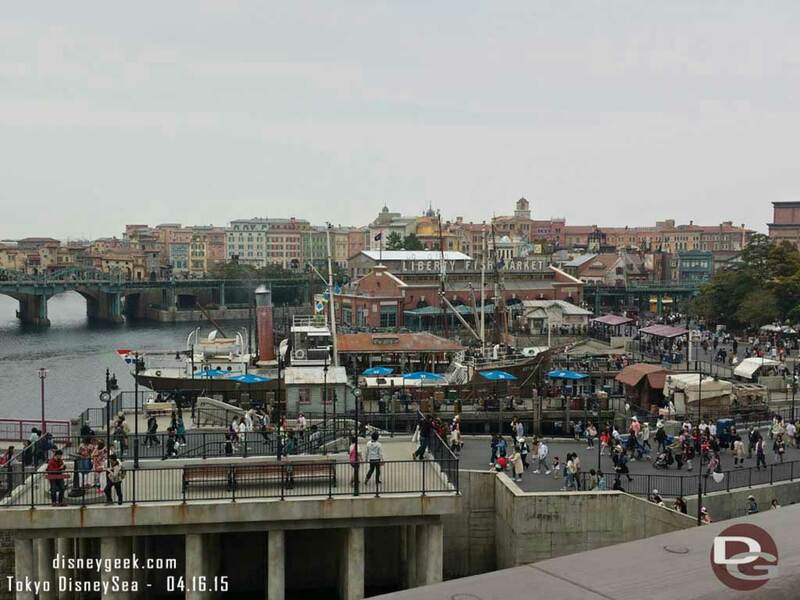 On the Pirate side, a huge galleon will sail down Main Street, U.S.A.®, as though it were on the ocean’s peaceful waves. Captain Hook and Mr Smee will be on-board, up against Peter Pan and Wendy… as well as Minnie Mouse in her best buccaneer outfit! “New Characters also join this crew, including the hero from Disney Junior’s Jake and the Never Land Pirates, who will sail by on the hull of his ship!”. An acrobatic crew of pirates can be seen leaping from one mast to another or up into the air, making this spring cruise a joyful, musical adventure celebrating the spirit of Adventureland®. Next, it is on to Central Plaza, in front of Sleeping Beauty Castle, where everyone converges. Guests are then invited to choose a side and take part in one of the two routines, Pirates or Princesses, along with their favourite Disney Characters, all to the same playful melody, paying homage to Disneyland® Park, which is the only place where the two worlds can be enjoyed in unison! “And because the brand-new show will be on a couple of times every day, nothing is stopping you from coming back and switching sides later in the day! Both adventures have a little something everyone!” Christophe adds. Pirates and Princesses were not forgotten in Disneyland® Paris’s 25th Anniversary celebrations, which are still in full swing until September 2018. Every day, Disney Stars on Parade, created especially for the 25th Anniversary, transports guests into Disney tales, exploring unique worlds with Peter Pan, Disney Princesses and Princes and a multitude of other Disney Characters. The captivating night-time show Disney Illuminations transforms Sleeping Beauty Castle into a screen that’s beyond your wildest dreams, where the stories of The Little Mermaid and even Frozen come to life. For the first time, sequences from live action films such as Pirates of the Caribbean are also included. Guests can witness an extraordinary sea battle, including cannon shots fired by Jack Sparrow’s legendary Black Pearl. In fact, Jack Sparrow has even joined the adventure in Adventureland’s must-see Pirates of the Caribbean, along with Captain Barbossa and a crew of new pirates. This spring is also the perfect opportunity to rediscover classic attractions such as Le Pays des Contes de Fées, Blanche-Neige et les Sept Nains and Peter Pan’s Flight. Our younger guests who dream of looking like their favourite heroes can find costumes in a number of shops throughout Disney Parks all year long. Le Coffre du Capitaine (Adventureland®) is the ideal hideout for those who want to become the perfect pirate, while La Chaumière des Sept Nains (Fantasyland®) crowns anyone who wants to be a real princess! Exclusively at Disneyland® Hotel, guests can become a Princess for a Day1 and undergo a fairy-tale transformation! Face-painting stands2, which are loved by guests, can be found throughout Disneyland Park and provide the ideal opportunity to have your face painted in some of the most fantastic artistic creations. Pirate or princess: make your choice! Disneyland Paris Merchandise teams have also developed an entirely new range of products related to this festival. A host of Disney characters will be around for photographs3 with all the pirates and princesses at their meeting point at Pirates’ Beach, among others, near Captain Hook’s galleon, or in the Princess Pavilion, a magical location saved for the greatest Disney heroines where guests can experience delightfully enchanting encounters. Finally, foodies have the opportunity to dine at Cinderella’s royal table, which is decorated for a princess, in Auberge de Cendrillon3 (Cinderella’s Royal Inn), or head to Captain Jack’s – Restaurant des Pirates3, home to pirates on the lookout for exotic cuisine, in a Caribbean beach-tavern setting. Pirate or Princess: you can choose to be one or decide to be both. That is the real magic of Disneyland Paris! 1A charge applies. Upon reservation (limited times & places). Several packages available. 2Not suitable for children aged under 3. A charge applies.